 In 2012 we founded the Facet Ski Company. Embodying the handcrafted quality and tradition of New England craftsmanship, we turned our passion and desire for performance skis into a reality. We retrofitted a garage into a full fledged workshop and started to design and manufacture our Top Quality, High Performance, Handcrafted, Made in America skis. Rough cut like an unpolished gemstone we found our diamond to be the mountains. It occurred to us that as we break trails and carve down the slopes we cut facets and reveal the intensity of our inner self and the mountain. This reflection is brought out in our skis. Facet Skis, like a diamond, radiate a brilliant fire of color and personality and give victory to those that ride them. We are meticulous in every step of hand-building each Facet Ski so that every pair in and of itself personifies the intensity of a diamond. Like a diamond each pair is truly unique in its character and provids an unmatched experience in the mountains. The Green Mountains of Vermont are the source for Mike’s passion for skiing. With a degree in Entrepreneurial Studies he first went into marketing but soon realized he needed to pursue his dream of seeing people use something he created. Creating the first pair of what would become Facet Skis came naturally for Mike and today he is considered The Master Craftsman, creating each ski design and overseeing the assembly of each ski. He tests each style of ski and challenges the durability, performance and design before it bears the Facet name. Joe manages the growth and development of Facet Skis. He carefully manages the sourcing of the soft-goods and the materials used to produce the Facet line of skis. Having spent two seasons demoing new skis before making a purchase, he submitted a letter about his experience to SKI Magazine and was subsequently asked to participate in their annual product test the following year. Joe feels it’s important to provide a product and service where we set consistent guidelines and have an innate understanding of how a quality ski should be made. Joe’s 14 years of experience as the Financial Manager for a NYC private equity firm with $2.0B in Capital provides a solid business background for Facet Skis.